It all started with a childhood fascination for sharks and a desire to observe sharks in their world. I became a certified scuba diver in 2006 and began chasing that childhood dream to swim with sharks. I would dive whenever I could in hopes of seeing a shark. Some dives where targeted as dedicated “shark dives” but many were not. There was always the hope of seeing a shark on every dive but most of those dives were disappointing. At least they were for me. I noticed something interesting. On many of the normal (non-shark dive) dive trips, most of the divers were happy to not have seen any sharks on the dive. 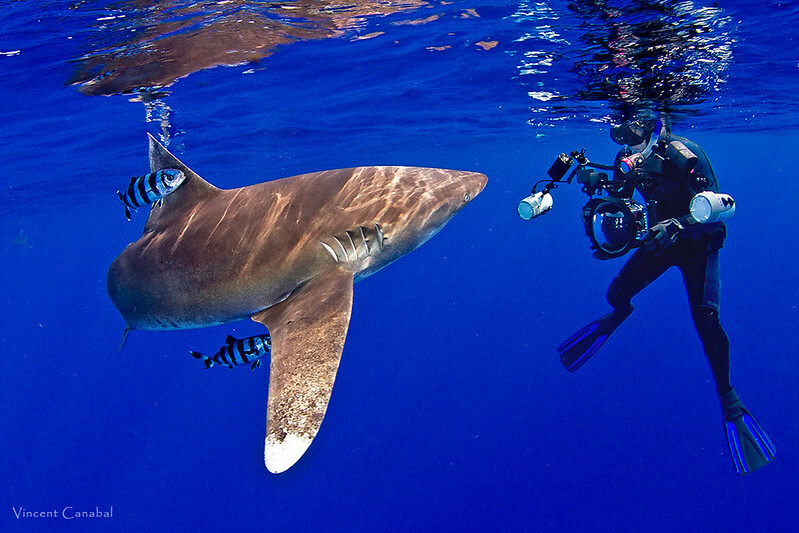 A vast number of divers seemed to have succumbed to the media hype that sharks were things to be terrified of and they were glad there were no sharks. I took this as an opportunity to try to right the misconception. In every ensuing discussion about sharks and diving with them this question was always asked, “you’re in a cage, right?” I happily explained that a cage wasn’t necessary. Things started to become clear. The only way to undo the damage done by the media was to have proof sharks weren’t mindless killers out to get people. 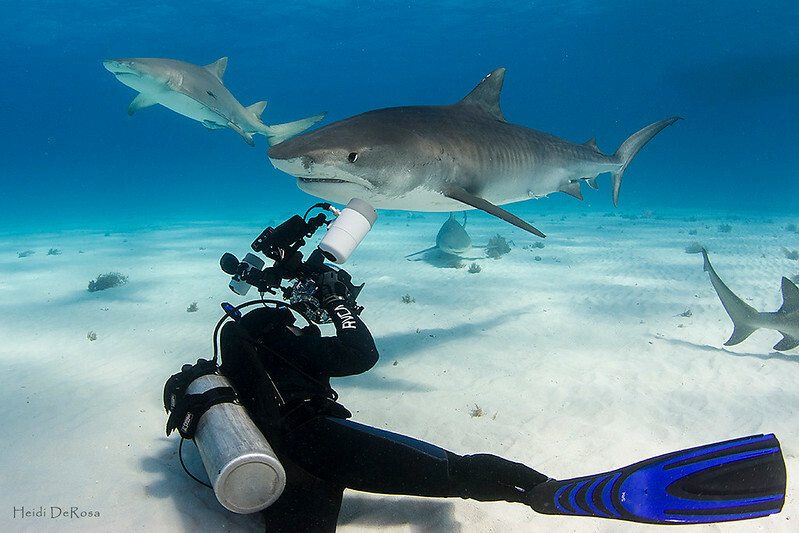 Getting photographs of sharks and people together would be a must on every shark dive. Photographs need to portray sharks in a majestic manner, not just gaping jaws. Although admittedly, while I really appreciate a dramatic open-mouth, big teeth shot, I know those won’t help change perceptions about sharks. 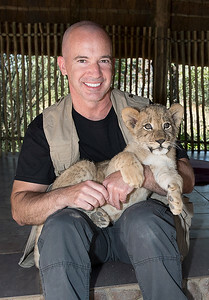 I believe in promoting conservation and coexistence with these amazing creatures. Even though I’m not on the “front lines” of the shark and ocean conservation battle, I’m always ready to talk about sharks and set the story straight. In addition to sharks and other marine life, I love capturing the spirit of the big cats. There’s a magical moment when you make eye contact with Tiger or Lion and you know they are looking at you, looking at them. While it wasn’t my original intention to be a published photographer, my photography journey has led to several prize-winning photographs and international and domestic (US) publication in both print and digital media (including 1 magazine cover to date).